All journeys begin with a dream. My dream occurred in the summer 2000, after I entered a deep and regenerative sleep. Like many people, I yearned to belong to something greater; I yearned to live of a life filled with purpose, fulfilled by meaning. However, like many others, I had lost my way, did not know who I wanted to become, or what my purpose was in life was to become. It was from this starting point, that a dream arose from within, pointing me to a direction of standing in service to others, helping them to navigate through problems of mutual understanding. I saw myself standing at the helm of my life, and mutually began to see a path by which I could help others do the same. By making meaning in my life each day, I could engage my true path as it opened, and subsequently use my journey as a starting point to help others find their direction. At the time, I did not know where this dream would lead. But I knew that I would somehow find my destination while standing in service to help others find their journey. 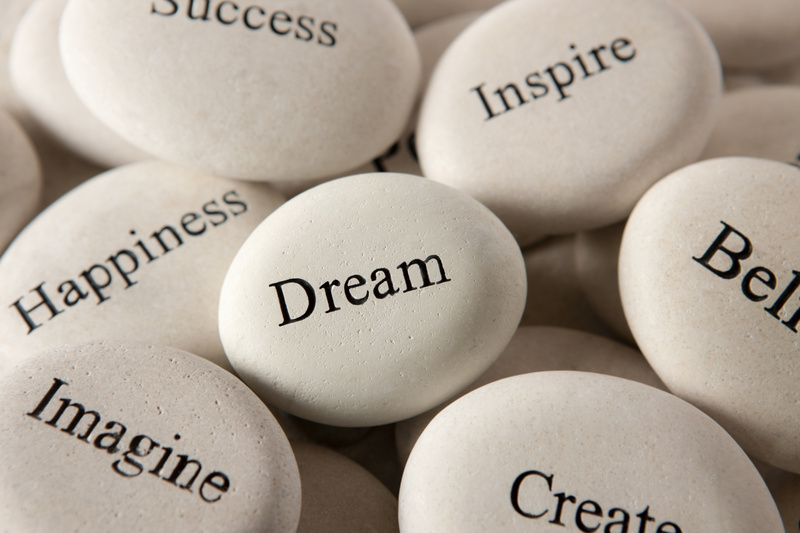 Dreams are a starting point to engage our personal future. They work through our imagination and open us to inner worlds of creativity and new possibility. By dreaming, we learn ways to deal with past emotional and psychological conflict, develop understanding about events that currently shape our life, and develop the ability to chart new and exciting possibilities for our future development. Dreams are a starting point for us to realize the possibilities in life we seek. Emotional, spiritual, and physical wellbeing is a product of soul work. We must go within, in order to dream life forward and watch those dreams become a reality. Psychological symptoms, even mental illness does not doom those who suffer its grasp. Instead, it provides a snapshot into the problems that can impede us during the long and oftentimes arduous journey called life. Symptoms, like dreams, allow us to develop a deep understanding of ourselves, and engage in a path of Self awareness. Psychological symptoms are not a sign of weakness, or even an illness; instead, they are a road into the soul of the problem, and oftentimes mask inner strengths once thought lost. As a practicing psychotherapist with 17 years experience in helping others, I have seen first hand the growth an individual can attain when going within, developing an understanding of, creating, and implementing a plan to overcome the barriers that stand in the way of healthy psychological development. Having treated everything from anxiety and mood disorders to personality disorders, I have seen the soul behind many problem, have helped people develop new perspectives about their symptoms, see, harness, and benefit from the internal strengths they have, and overcome those symptoms in a manner that leads to deep personal meaning. My journey to become a developmental psychologist began from that early summer dream some 17 years prior. While lost at the time and not knowing what direction my journey would take, I remained open to new experiences; because of this, I found direction. In this blog, I explore areas of developmental psychology, analytical psychology, archetypal psychology, and psychoanalytic studies. Having a Ph.D in psychology, and being trained in psychoanalytic, analytical, Eastern, and Spiritual traditions of psychology, my goal is to help others understand, overcome, and grow from the experiences they face along their developmental journey. Whether you are a student seeking new information on developmental, analytical, or psychoanalytic paradigms of psychology, a parent seeking to understand your child, a teacher looking for more information to understand the children you teach, or an elder seeking to make sense of the journey undertaken during your lifespan, I believe this blog is for you. I welcome and honor your feedback, and hope you enjoy.